Middle School Archery wins 7th consecutive State Title! First-time Elementary team wins 3rd! 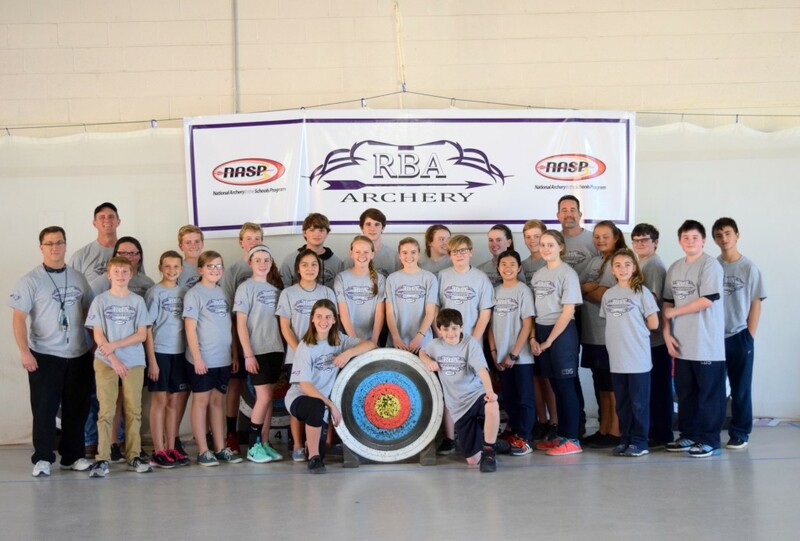 You are here: Home » Blog » Middle School Archery wins 7th consecutive State Title! First-time Elementary team wins 3rd! CDS Middle School Archery wins 7th consecutive State Title! First-time Elementary team wins 3rd! Team and individual results released today reveal that Charter Day School (CDS) is home to the top middle school archers in the state. The team, comprised of boys and girls in grades 6-8, has won a seventh consecutive state title. Individually, the top ten male and female archers in the state are nearly all CDS students. CDS’ first-year elementary team (grades 3-5) achieved a stunning 3rd place finish in their first state competition. CDS’ team provided nine of the top-ten middle school female archers in the state. 7th grader Hannah Pelton is NC’s top female middle school archer, who posted a nearly-perfect score of 291/300. Head coach Daryl Lafave reports that this is the highest score posted by any CDS archer, male or female, in his memory. 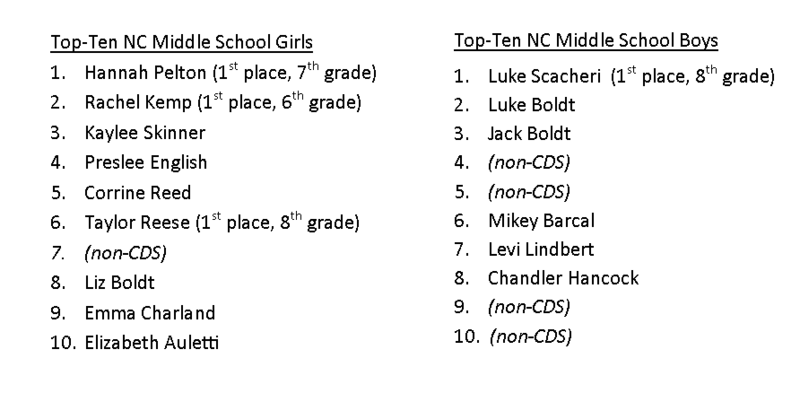 8th grader Luke Scacheri is NC’s top male middle school archer, and posted a very impressive score of 286/300. Further, in the NC elementary school competition, CDS’ first-year team achieved a 3rd place finish. The team is comprised of 14 students in grades 3-5, of whom two ranked in the state’s top-ten individual standings. 4th grade student Patrick Boldt is NC’s 2nd place elementary school archer and 1st place archer in the 4th grade category. 5th grade student Conner Hancock is NC’s 7th place elementary school archer. Coach Lafave is assisted by CDS 5th grade teachers, Ms. Erin Mahoney and Mr. Johnathon Urban, as well as parent volunteers Terry Boldt and Ashley Lindbert. Congratulations to all CDS archers! CDS is a public, open enrollment and tuition-free charter school offering a K-8 classical curriculum in Leland, NC. It is currently and consistently the highest-scoring elementary and middle school in Brunswick County. CDS’ three replicate sister schools are located in downtown Wilmington, Southport, and Whiteville and are accepting enrollments for the 2016-2017 school year on a first-come, first-served basis. For more information, please visit www.rogerbacon.net.